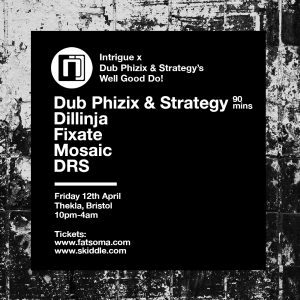 THIS FRIDAY NIGHT……..Dub Phizix & Strategy bring their infamous brand of mayhem to Intrigue! Their ‘Well Good Do’ started out in their home city of Manchester but is now taking dancefloors across the world by storm! We can’t wait to welcome them to Intrigue for the first time, gonna get messy…..